Accurate temperature measurements are crucial in all industries; however, in the plastic industry accurate mold temperatures, accurate melt temperatures, and accurate barrel temperatures are critical. 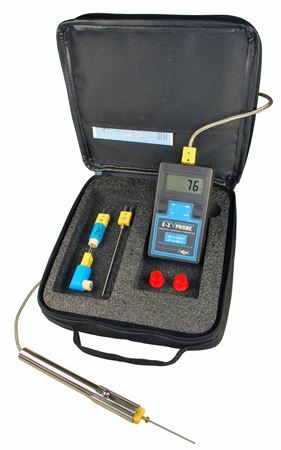 With our plastic molding temperature kit, you will be armed with the tools necessary to ensure you get the most accurate measurements every time you test. Our Pyrometers are durable and rugged, offering reliable and precise measurements at an economical price. These kits are a must-have for any industry professional who needs absolute trust in measurement.